Figure 18. Color measuring scale of Francoise-Alphonse Forel. 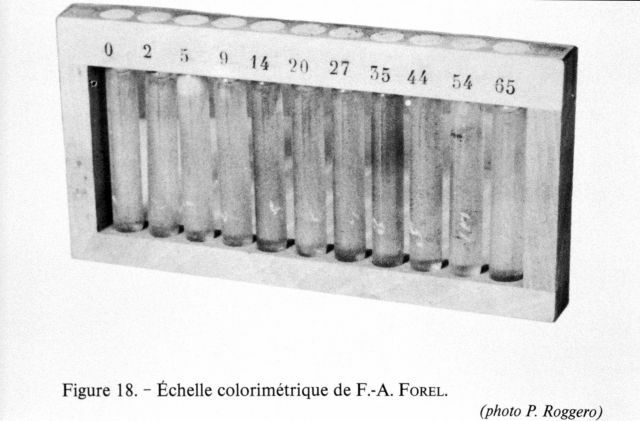 Forel invented this scale in 1887 for the study of the color of water, and precisely for that of Lake Leman. He conducted his first experiments in Lake Leman in 1887.